helps to prevent injury and aid recovery from injury. 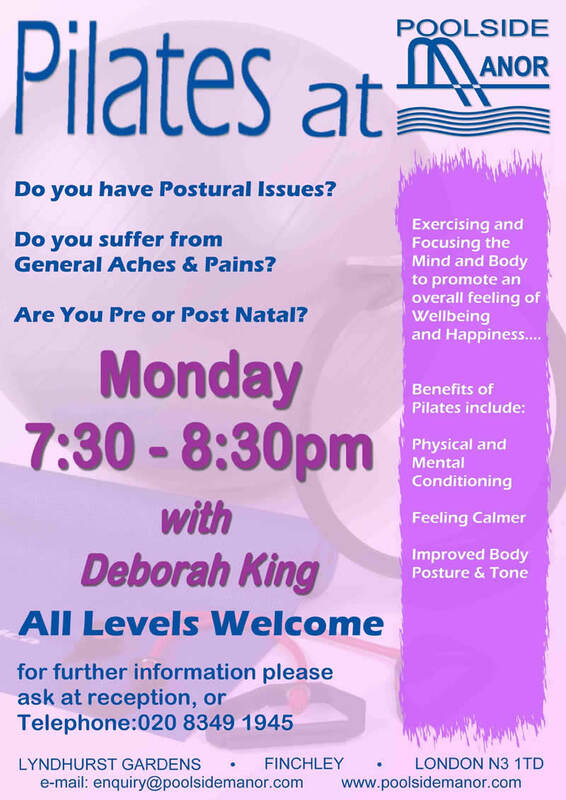 We currently offer a mixed ability pilates class, led by our qualified instructor on a Monday evening from 7.30pm to 8.30pm. Bookings are made on a termly basis although a pro-rated price is offered to late joiners. A mixed ability class for one hour each week. This term is 12 weeks. £163.00 - Pro-rated for late joiners.